K-Pop is continuing its staggering reign on YouTube. 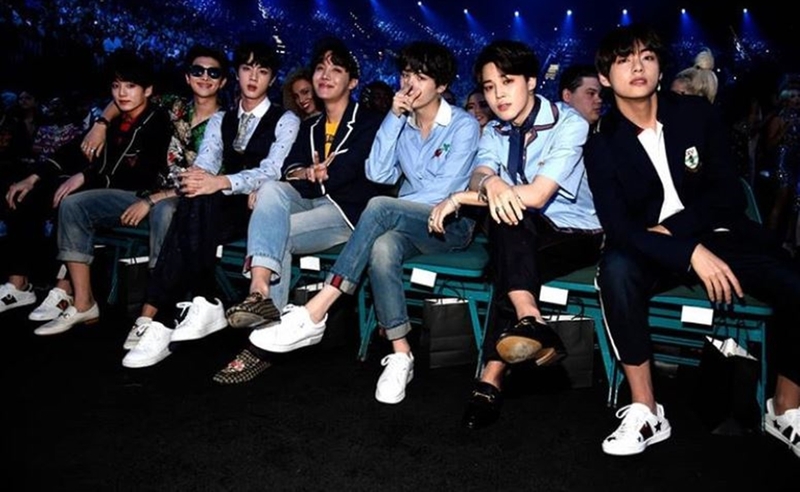 One week after girl-group Blackpink broke platform records for the most-viewed music video in 24 hours, boy band BTS clobbered those figures — as the long-watched 24-hour viewership threshold continues to balloon at an exponential pace. When it ascended to the top spot last week, Blackpink’s “Kill This Love” nabbed 56.7 million views in 24 hours, barely eking past previous record holder Ariana Grande (whose “Thank U, Next” clocked 55.4 million views in that time frame). However, BTS’ latest single “Boy With Luv“– featuring American songstress Halsey — amassed 74.6 million views upon its debut on Friday, YouTube confirmed. The video giant previously noted on Twitter that the top spot had been claimed on Saturday — right before the boy band made its debut as the first-ever South Korean musical guest on Saturday Night Live — but said it was still crunching the numbers.